Local currencies represent a good context to show how communities try to build resilience to fight financial instability. Furthermore, the Brixton Pound was the first local currency to appear in a huge metropolitan area. In an era where cities are increasingly global and old bricks-and-mortar neighbourhoods have been substituted by new shiny buildings (Zuckin, 2009), it is quite unique for a neighbourhood to claim its own historical, cultural and economic identity through the creation of a currency. Money is not just an economic function, it also carries social meanings . Hence, I decided to understand how the Brixton Pound was contributing to the creation of these identities and which was the link with a neighbourhood. Ethnography was the best way to grasp the complexity of these processes. For this reason, I started volunteering for the Brixton Pound association in order to observe the currency in everyday life. Previous work on local currencies mostly highlights the positive impact of these systems on the local community. Theoretically, local currencies support local trade creating resilience in the local area. For example, the Nef showed through the Local Multiplier (LM3) that local currencies circulate 3 times more than national currencies since they are used in a bounded geographical area. Previous studies also show how these systems promote social cohesion allowing people to get in touch with their neighbours. The ultimate goal is to foster social justice among the residents of a local area. Therefore, when I started my fieldwork, I wanted to understand how the processes worked at consumer and community level. In practice, I wanted to understand how these currencies allowed the creation of a local community. However, local communities are very complex and heterogeneous. My fieldwork allowed me to discover how stakeholders in the local community were internalizing the local currency in a different way, according to their cultural and social background. The ethnography also allowed me to understand that local currencies do not happen in a vacuum. There is in fact a strong link between the currency and the local area. Brixton is a neighbourhood in South London (UK) that has a rich cultural history, at times filled with tension. During the Victorian age, Brixton used to be one of the most important shopping destinations in London. However, the crucial milestone for the neighbourhood is the arrival of the Windrush generation. The Windrush arrived at Tilbury on 22 June 1948, carrying 493 passengers from Jamaica wishing to start a new life in the UK. They chose Brixton as one of the places where to settle. The Windrush generation has defined the character of the neighbourhood since then. The Brixton Market used to be the leading market in Europe in terms of variety of tropical fruit and vegetables, and the whole area was characterised by the presence of many West Indian shops with an unbelievable range of products. A historical event for which Brixton is infamous are the riots of 1981, the collision between the police and the black crowds was very violent and 279 people were injured. Since then Brixton has been defined as edgy and countercultural. In the last five years, the entire area has been re-qualified or, as people in the neighbourhood like to say, it is gentrified. 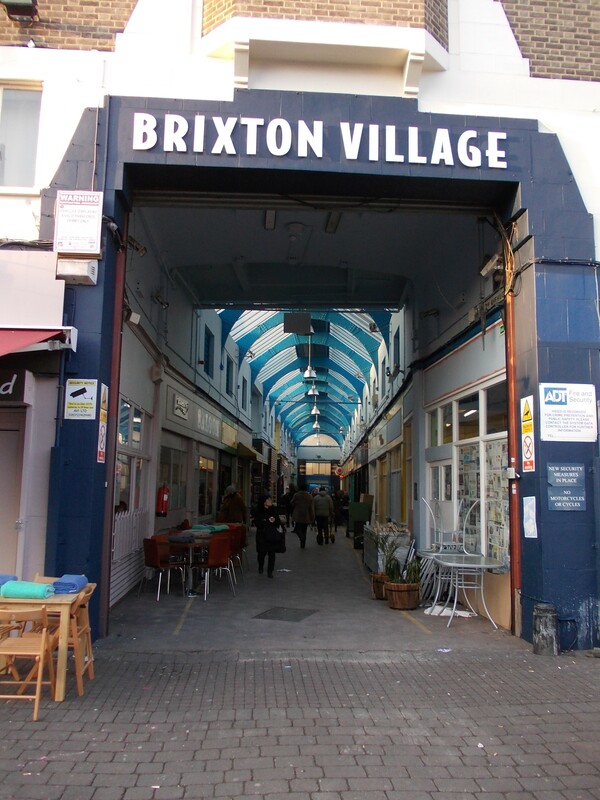 The Granville Arcade, the traditional market, was re-named into the Brixton Village in early 2000s. Now it is buzzing with restaurants, cafes and small boutiques. People say that there are only ‘eateries’ there… the entire idea of the market has changed. This is an example of what Sharon Zukin (2009) calls commercial gentrification. The opinions about the Brixton Village are quite strong and controversial with inevitable conflicts between different lifestyles and ideologies. One of the most popular slogans in the last months is ‘ Yuppies out’. It is not clear who the yuppies are, and who belongs to one group or to the other but, for sure, a conflict between opposing ideologies is definitely happening in this neighbourhood. 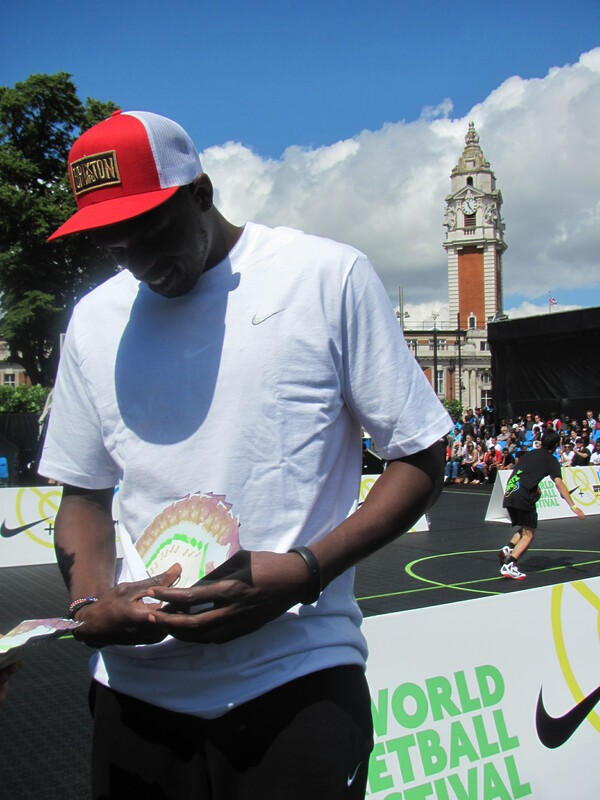 The Brixton Pound was born in 2009 out of the Transition Town movement (more on this later). If you go to Brixton, you can exchange 1 Brixton pound for 1 British pound, and spend your Brixton Pound in 200 local shops, cafes, and restaurants in Brixton. You can spend it just in those local shops; you cannot spend it in big chains, since the main aim of the currency is to keep the economy local. There are 2 versions of the currency: the paper and the virtual one. The paper currency is quite symbolic; the notes depict important characters that are part of Brixton history Brixton history with a beautiful design. The paper currency is mainly a memorabilia that people buy in the neighbourhood as a keepsake and then rarely spend. The virtual currency is also called the ‘Pay by Text’. You can set up an online account with the b£ and pay using your mobile phone through a text message. Different from the paper currency, when you top up your online account you get a 10% bonus on what you top up. So 10£ become 11b£. The caveat is that consumers cannot change the electronic b£ back into sterling. Shops can change their money back, but they have to pay a 10% penalty on their exchange. However, from January 2014 the scheme is going to change. While the Pay by Text will remain as main payment method, the 10% bonus and the 10% malus will be cancelled. This will change the model both at consumers and retailer level. In my ethnographic work, I found that there are different actors revolving around the Brixton Pound. 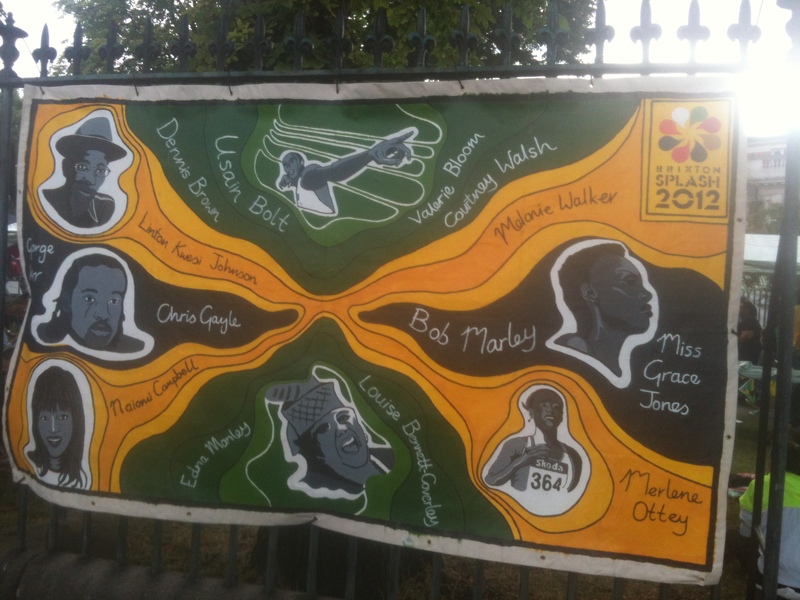 These actors include: 1) the issuers, who are the ‘creators’ of the Brixton Pound and who manage the local currency, 2) the businesses, who are the shops who accepted to be part of the scheme and accept the Brixton Pound, 3) the consumers, that are the ones that use the currency, 4) the traditional community, composed by the West Indian community and historic inhabitants of the neighbourhood. I found that these actors internalise the currency in a different way and consequently they have a specific behaviour toward the Brixton Pound. In the next sections I am going to explain the different behaviours of the stakeholder who I observed in my fieldwork according, and how they have internalised the currency. The Issuers created a currency that holds a strong ideological component. The Brixton Pound was born as a sister project of Transition Town Brixton. Transition Town is a grassroots network of communities who are working to build resilience in response to peak oil, climate destruction, and economic instability. The entire system has been developed in line with the Ecological Economic ideology promoted by Paul Glover for the Ithaca hours system. This system suggests the following process: a consumer should change his or her British Pounds into Brixton Pounds (with a 10% bonus incentive if using the electronic currency) and spend them in local shops, which should trade amongst themselves using the Brixton Pound. Businesses can also use Brixton Pounds to pay Business Rates for the Lambeth Council. The Council could then use that money to pay part of the salaries of its employees, who would then be able to spend Brixton Pounds in the market. The issuers strongly believe in this project and trust that it could be beneficial to the entire neighbourhood. Their target is not to get rid of the capitalist logic but to work with it. The typical Brixton Pound user embraces an alternative hedonist rationale (Soper, 2008). Users are young professionals and belong to the new middle class who moved to Brixton within the last decade. They tend to be well-educated and have a good disposable income. They are also aware of social issues and want to be a part of the neighbourhood to improve quality of life in the long-term. Some of them also belong to the more creative and countercultural class. One of the participants I interviewed indirectly described the typical user of the Brixton Pound as someone who is interested in edgy and creative domains. This group uses the Brixton Pound because it is convenient. As mentioned earlier, using the electronic currency automatically gives consumer a 10% bonus when they top up. Consumers can also use their phone to pay with the electronic currency. The discount is regarded as an attractive reward to buy locally. Moreover, this 10% reward helps consumers buy local products. Local products are more socially acceptable because they are considered healthier and they sustain local economy. Therefore, the Brixton Pound helps consumers live a better life, which is entirely consistent with the alternative hedonist rationale and with more responsible consumption patterns. However, these consumers are also absorbed into the neoliberal discourses of ‘convenience’, which is also a characteristic of the mainstream money system. As mentioned earlier, around 200 businesses accept the Brixton Pound. As a consequence of the process of gentrification, the Brixton Pound tends to be used in small boutiques and cafés that are redefining the neighbourhood of Brixton. Consumers can easily pay with the electronic currency in restaurants and pubs. It is extremely difficult to buy fruit, vegetables and meat using Brixton Pounds. This partially contradicts the purpose of the B£ that is to support local trade. In order to be part of the scheme, the local currency requires the shops to make a sacrifice. Since consumers receive a 10% bonus when they buy their electronic Brixton Pounds, the shops have to pay a 10% fee on the electronic pound if they want change their money back. This is done for two reasons: First to incentivise businesses to re-spend their money in the neighbourhood, second to balance the money subsystem with the mainstream money system. The system is going to change from January 2014, so this relationship will be redefined. However, it is almost impossible for the shops to buy their supplies in Brixton because buying supplies in the market is too expensive, and because they cannot find all the products they need in the market. This makes it rather inconvenient for the shops to change their money back. The Brixton Pound association currently offers businesses the opportunity to pay their business rates in Brixton Pounds. Another major Brixton Pound stakeholder is the traditional community. However, most members of the West Indian community reject the Brixton Pound which they regard as a gimmick of the new community that is moving to Brixton. A respondent affirms that he does not need such tools to show that he belongs to the neighbourhood. He can spend his mainstream money in the real local shops. He is not against the opening of new shops in the neighbourhood, but he is opposed to the opening of new hip and trendy businesses that are changing the face of Brixton. 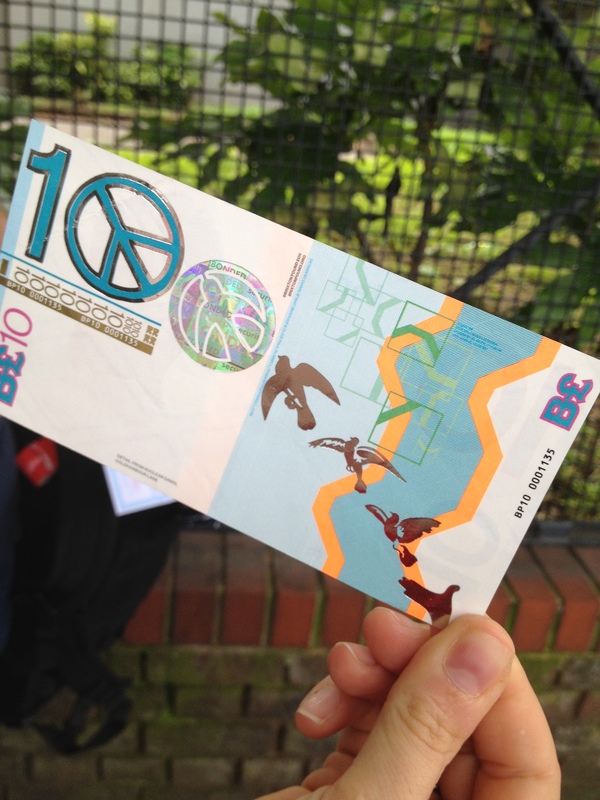 The Brixton Pound is regarded as an object that belongs to this new community, not to the original one. The Brixton Pound issuers have always tried to integrate the local currency with the traditional communities. However, the traditional community has a strong identity, which cannot accommodate this currency. For example, members of the West Indian community argue that access to the community cannot be bought: You have to be born in the community to be part of the community. They also state that they do not recognize symbolically the currency since it does not belong to their culture. Overall, this suggests that there is an ideological misalignment between the local currency and the traditional community and it is difficult to bridge. The Brixton Pound is a good promotion for Brixton. Surely, it makes consumers more aware of local consumption and local supply chain issues. It also creates a social link between consumers and businesses and it enhances local pride. However, it is reproducing unintended consequences. In fact, as Michel Foucault (1969) would put it, the Brixton Pound reproduces a discourse of power that channels consumers towards a new ideological and commercial perspective promulgated by gentrification. The Brixton Pound, as many other factors, is helping the shift of power relationships within the neighbourhood. When I started my fieldwork, this was not expected. As mentioned in my introduction, I was thinking to study the process that was leading to the strengthening of Brixton local community. However, as Viviana Zelizer suggests (see note 1), money is deeply influenced by the context in which it is inserted. Since the process of gentrification in Brixton is a pervasive, the currency also reproduces that process. Furthermore, I learnt that contemporary local communities could not be considered homogenous . Contemporary local communities include a variety of stakeholders with different ideological projects; they internalise the currency differently and they have different behaviours towards it. Paul Glover, the founder of Ithaca Hours, in the book Hometown Money set some rules to found a local currency. However, I would add 3 main questions that are worth asking before entering a local currency. Who is in the local community? Local communities are made of many different ideological groups. Since local currencies promote an ideological and political project, you have to consider who is more likely to buy into your project. Usually, consumers with a similar ideology are more likely to buy into the project. However, at the same time, you have to consider who you are including and who you are excluding, implementing specific political ideologies. It is highly important having businesses, producers and consumers involved with your project. If you want to keep the wealth inside a neighbourhood, you have to make sure to have a certain number of local producers on board. If there is a lack of producers, then businesses will have to outsource everything externally, and therefore will not have a lot of opportunities to use the local currency they receive. This could create discontent at different levels. What is going on in the local community? The most important thing is not to ignore what are the main social processes going on in the community, such as the gentrification in this case. Money is deeply influenced by the context in which it is used. It will reproduce existing tensions and problems, and this could create unintended consequences. Referencing to the sociologist Viviana Zelizer (1994), money can have different meanings,according to the ‘cultural and social structures’ in which it is inserted. For example, the user can associate a specific social function to money (such as money that is saved for university). The source can influence the use that we make of money (such as a legal money vs. illegal money). The context in which money it is used also has a strong impact on how we use money (such as a geographical or social context), and so on. Local currencies are often loaded with particular meanings that are different from the mainstream money system. They promote value such as anti-capitalism, local economic development, social justice, equality, ecology and so on and so forth. Therefore, we can assume that these ideological associations have an impact on how people use these forms of money. Following Zelizer’s frame, the Brixton Pound is influenced by the context in which it circulates, and it reproduced the ideologies its stakeholders attach to it. Seyfang, G. & Longhurst, N. (2013) Growing green money? Mapping community currencies for sustainable development. Ecological Economics, 86, 65-77. 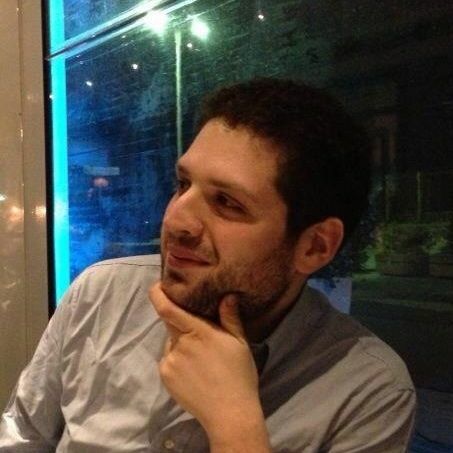 After having completed a MSc in Economics and Management for Arts, Culture, Media and Entrainment at Bocconi University, Milan - Italy (2009), Mario joined Cass Business School in 2010 as PhD student in Marketing. His main research interests are ascribed in the areas of consumer research, consumer culture theory communities and money. In particular, his dissertation explores the relationship between the consumption of money and ideology, studying the phenomenon of local currencies. If you’ve got to be a West Indian to be a part of this community, does that mean you’ve got to be black? If so, that’s a remarkably racist statement – with consequences, none of them good.